Set up your friends, and let your friends set you up! When it comes to music, books, bars and restaurants, we always listen to the recommendations of our friends. Why shouldn’t dating work the same way? After all, we’re usually friends with someone because we have similar tastes, beliefs or interests. 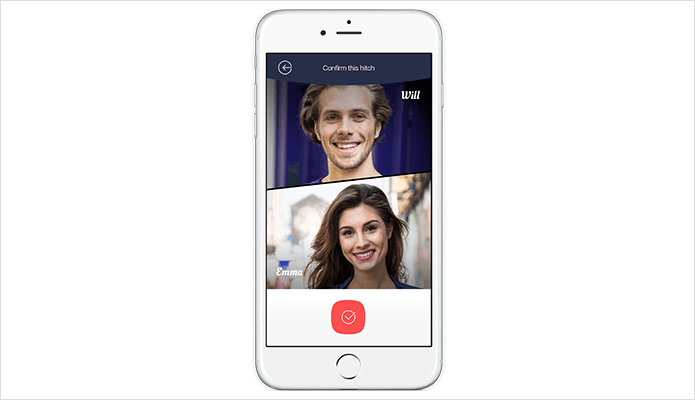 Hitch is a dating app based on this concept–if your friend thinks someone is awesome, well there’s a good chance you will too. And if you have a deeper connection with someone than their profile photo, there’s a better chance that it might actually turn into a meaningful relationship. Hitch gives you the option to both browse profiles and “hitch” with people through mutual friends, or play matchmaker and “hitch” your friends. The twist is, if your friend matches you with someone, you’ll only be able to see you match’s age and gender–so you’ll have to trust your friend’s judgment in the looks department! Hitch uses your Facebook profile information to automatically populate your Hitch profile with photos and your school and work details. You also have the option to add a 220 character description if you want to give people more information. You have the option to make your account private if you only want people you know accessing it. You’ll also need to give Hitch your phone number to verify that you’re a real person. Hitch provides matches based on your phone and Facebook contacts, so it’s perfect for people who want to go about dating in a more private way. However, if you’re a social butterfly and like the idea of having more options, you might find Hitch a little limiting. Hitch will show you a tiled screen of potential matches, but if you see someone you like, you’ll need to have a mutual friend before you can contact them. This can make the app frustrating if you see a potential hot date who doesn’t have a connection to you as there’s no way to chat or show interest in them. Hitch works best if you have a matchmaker friend to introduce you to likely dates. When a friend matches you with someone (as opposed to browsing for matches) you won’t be able to see a photo of your date--you’ll only have access to their age and gender, and be able to chat. 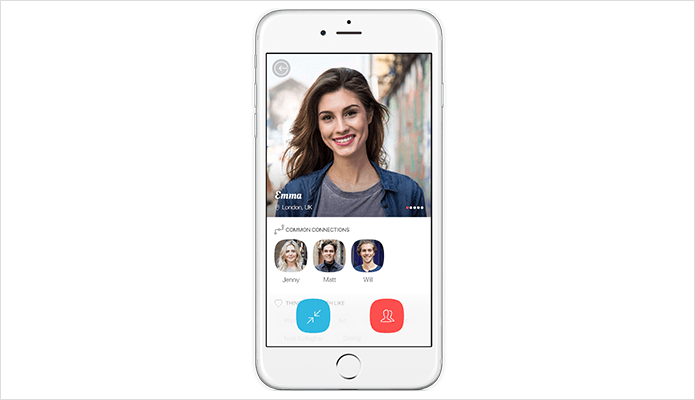 If you like taking a more passive approach to online dating or you don’t like matching with randoms, Hitch could be the app for you. If you’re like me and love matchmaking, Hitch can be a lot of fun. You can easily set up blind dates between friends who you’ve always wanted to introduce, or even set up connections between theoretically incompatible people and sit back and watch the sparks fly! Hitch is relatively simple in its approach to filtering. The app provides three options for location: “around me”, “my city” and “worldwide”. You can select your gender preference from male, female or “all” and filter by connection to show everyone, friends of friends or only friends. 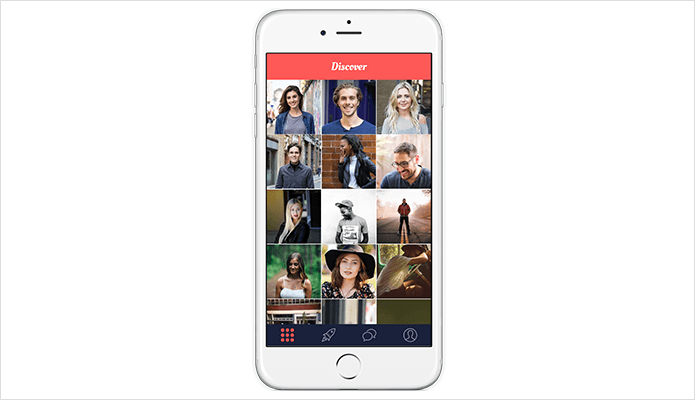 This gives you more control over your matches than apps like Tinder, but given the limits to communication, you may be setting yourself up for disappointment. Not everyone you see on your home screen will be attainable through the app. Perhaps the best approach to give you more options is to join with a group of friends, that way you’ll have a bigger pool of potential matches to choose from. If you don’t have any friends on Hitch, you won’t be able to connect with anyone. Once you’re “hitched” with a potential date, you’ll be able to chat as much as you like. 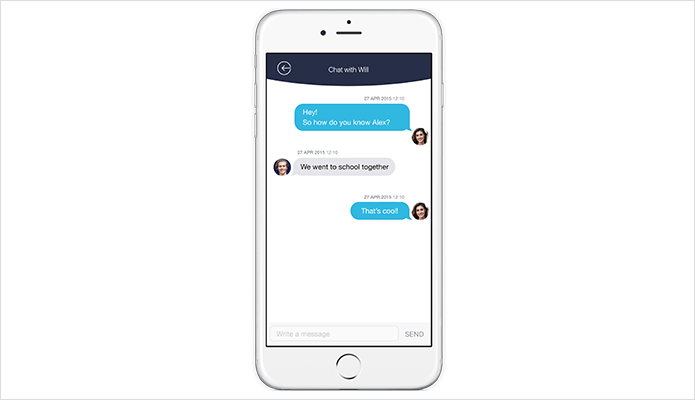 Again, the chat function is simple and your only option to communicate with a potential date. Without a mutual connection, there’s no way to communicate, show interest or flirt with a match. If you like the ability to match and talk to anyone on other apps, you might find Hitch’s approach to communication a bit limiting. But, if you’re someone who’s sick of wading through endless boring “Hey” openers or being trolled by malicious bros, Hitch might be a breath of fresh air. Hitch is 100% free, so there’s no harm in downloading it to check it out. If you want a better chance at finding new friends or a potential relationship and thus get the maximum value from the app, you’ll need to get your whole crew on there! If you don’t know anyone on the app, you can invite friends from your contact list to join. Otherwise you might just be hitching a ride alone. Atkinson, Larry. "Hitch App Review". The SW Experts. N.p., 2015. Web. 6 Apr. 2016.